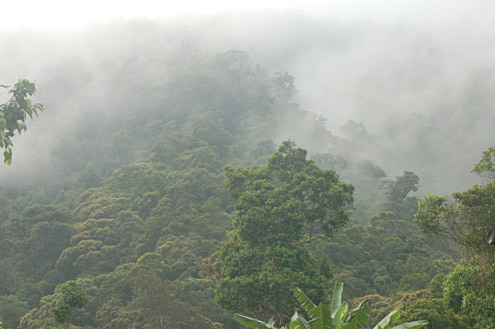 Lowland forest is dominated by species of the dipterocarp family; these trees often have large buttresses, and often exceed 40 m or more in height. Figs of many species are often abundant. 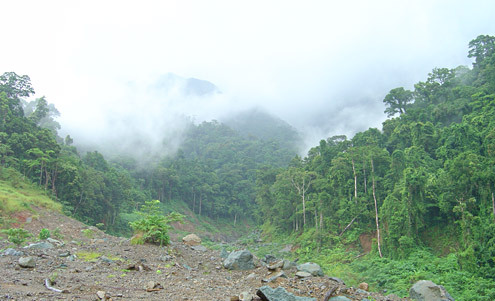 Lowland forest ranges from sea level up to 700 m on small, low-lying islands and small, isolated mountain ranges, but may occur up to 1500 m on large mountain ranges on Mindanao, and up to about 1100 m on Luzon. Little moss is present, and little humus or leaf-litter is present on the forest floor. 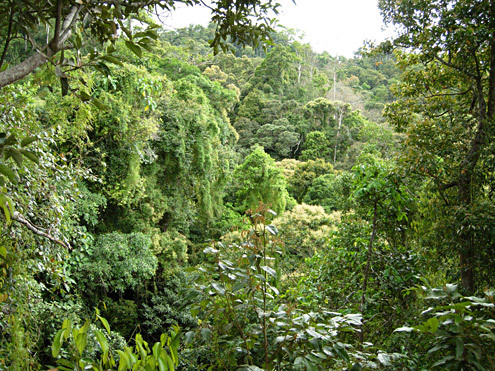 Vines and epiphytes are moderately common. Ants and termites are abundant. 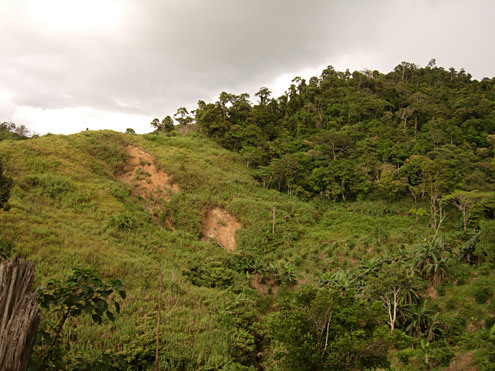 Rainfall in lowland forest typically ranges from two to 2.5 meters per year, and often is seasonal, with a pronounced dry season of several months. 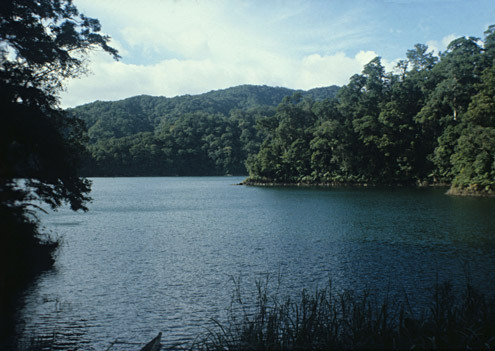 Temperatures often reach daily highs of 28-32° C.